This horror thriller revolves around three teenagers whose lives are forever changed when they uncover a deadly secret and decide to use this to their advantage. With parallels to Wolf Creek, director John Hewitt truly creates a sleek and professional Australian film that is not only wonderfully cast but truly captures the cinematic beauty of the Australia itself in this chilling film. The story begins with a disheveled young girl running through a forest, only to be violently hit by a car. This is where Hewitt carefully sets up the movie, leaving a bread trail of clues for only the most observant of viewers which the viewer really needs to pay close attention to. Acolytes itself is divided into the days of the week and begins on Monday as a group of teenage school friends, Mark (Seb Gregory) and his two friends James (Josh Payne) and his girlfriend Chasely (Hannah Morgan Lawrence) are walking home from school. Mark is obsessed by James' girlfriend and when they start playing up in front of him, he storms off into the local forest. While walking in the forest, Mark stumbles upon a strange man burying something in the ground as he carefully watches this man, only to see him flee the scene in a black 4WD with a butterfly logo on the back. (Another clue by Hewitt) Mark informs his friends of this strange occurrence and James decides that they should investigate, believing it to be money buried in the ground. Unfortunately for the trio, they discover that it is a grave of a female Canadian back packer. 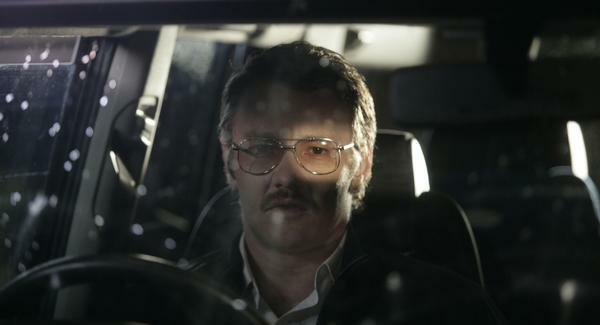 Through lightning fast flashbacks we learn that both James and Mark were sexually assaulted as children by Gary Parker (Michael Dorman) who has just been released from prison and the boys decide to extract their own vengeance on him by searching for the forest killer (Joel Edgerton) and blackmailing him in murdering their perpetrator. Unfortunately things go awry and thus begins a brutal game of cat and mouse that has a number of strange twists which I was oblivious too, however it was cleverly done, especially the ending. With an immersive plot, Acolytes is a truly on the edge horror thriller that has great acting from all involved, especially Edgerton who is quite eerie to watch. The young actors who play their teenage counterparts really get into their role, especially Hannah Morgan Lawrence who is quite mature and professional for her age. With good video and audio quality, Acolytes features some interesting special features, including two great alternate endings and a variety of interesting tidbits. We could easily recommended Acolytes to all those who love this genre! Interview with director Jon Hewitt and cast members Joel Edgerton, Michael Dorman. Hanna Mangan Lawrence, Joshua Payne and Sebastian Gregory.